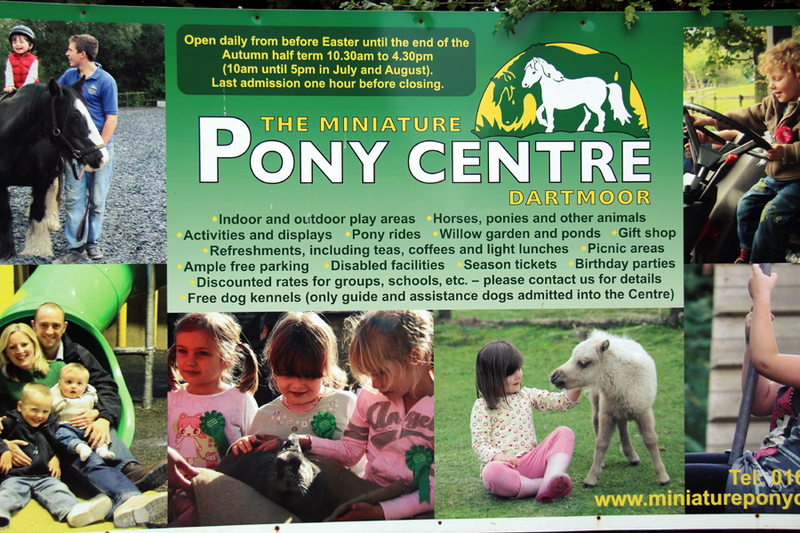 Situated on the edge of Dartmoor and a must-see if you’re in the area, the Miniature Pony Centre can be enjoyed by all ages, not just kids. We weren’t sure what to expect and wondered if we’d be restricted to seeing ponies from afar. 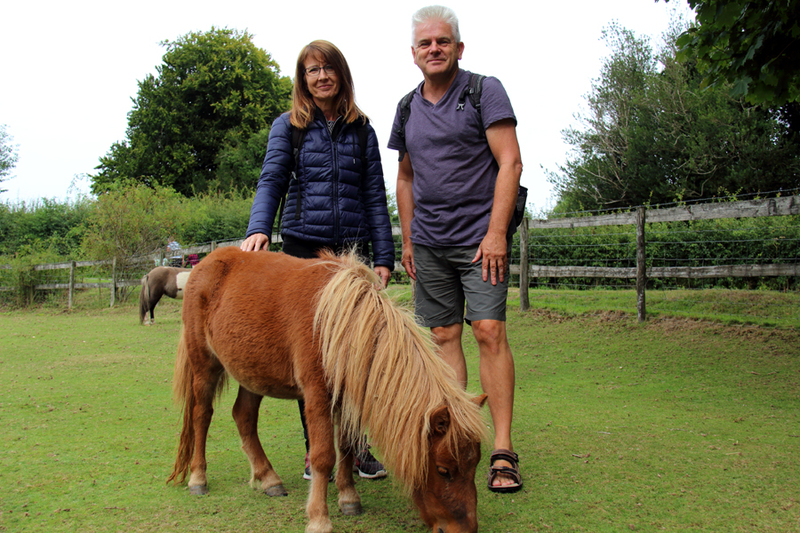 So, imagine how delighted we were, especially Hollie – who has a soft spot for miniature ponies – when we arrived and saw a paddock full of ponies and visitors wandering between them. 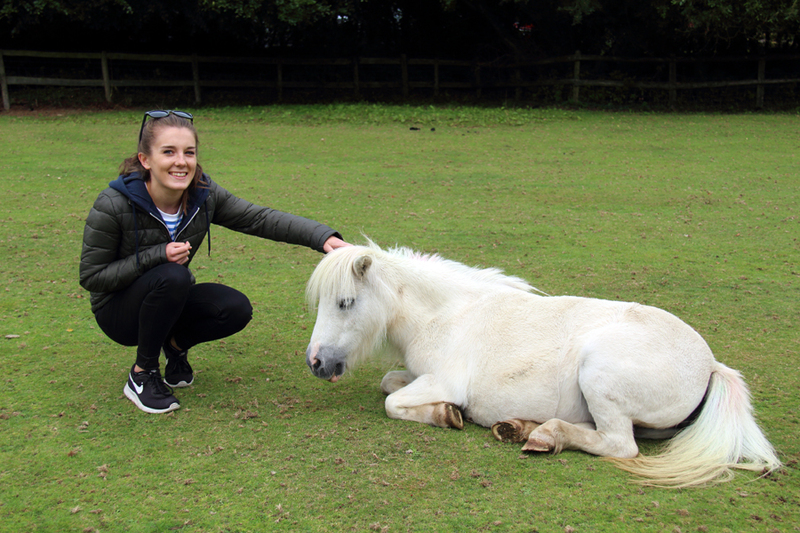 The atmosphere is very relaxed and, other than a few pointers to help you understand when a pony wants to be left alone, visitors are free to roam. 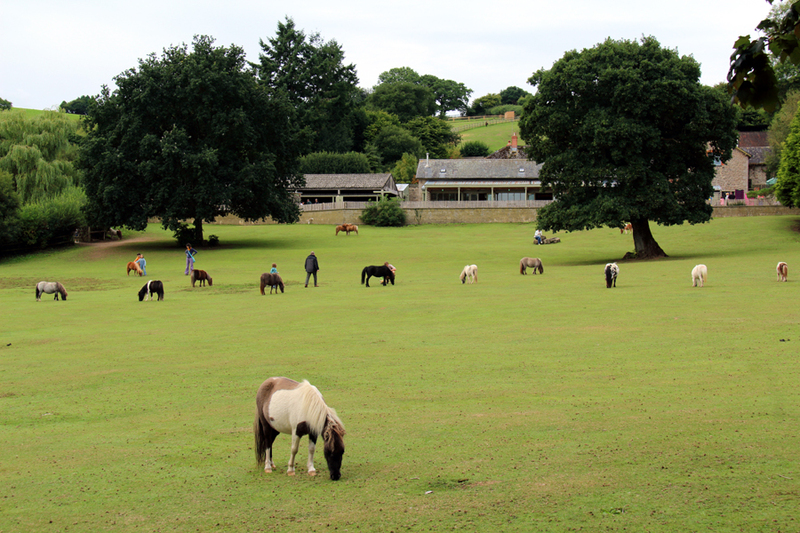 As for the ponies, they appeared happy to be touched and to have their pictures taken! 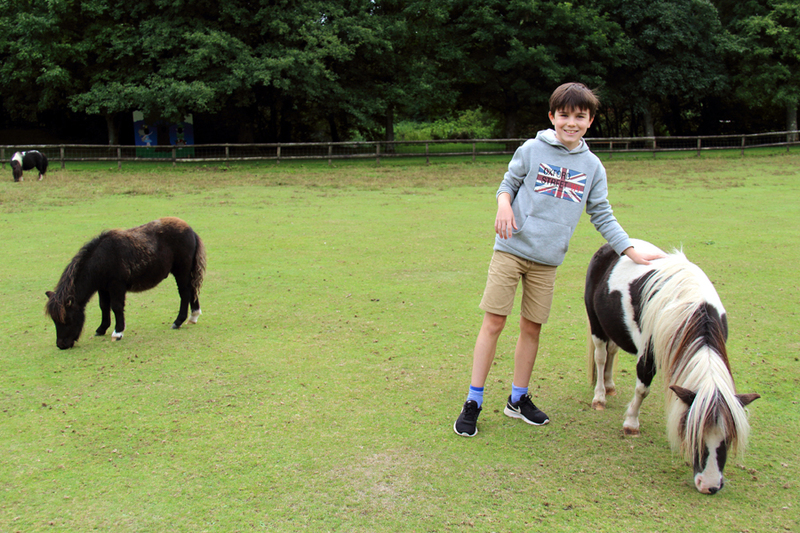 But miniature ponies aren’t the only animals on show: miniature donkeys and heavy horses are also kept onsite. 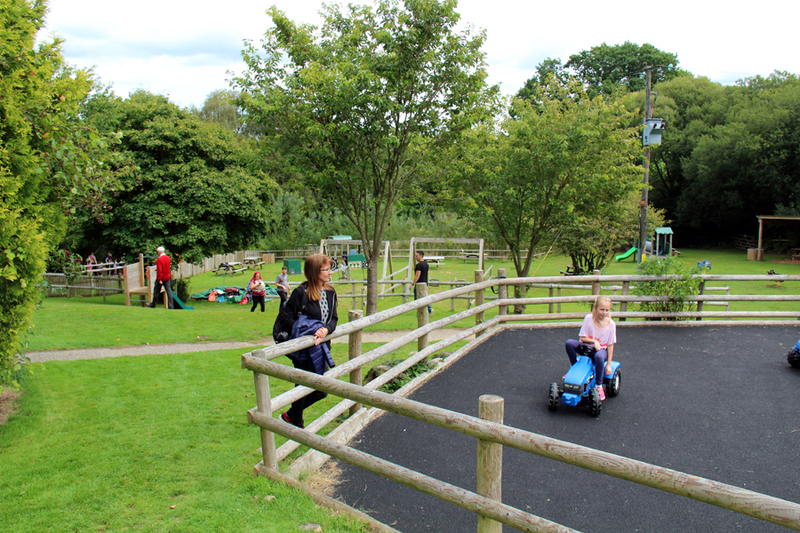 The centre was bigger than we’d expected and included play areas, zip wire, trampolines and pony rides (additional £2) for under 10s. 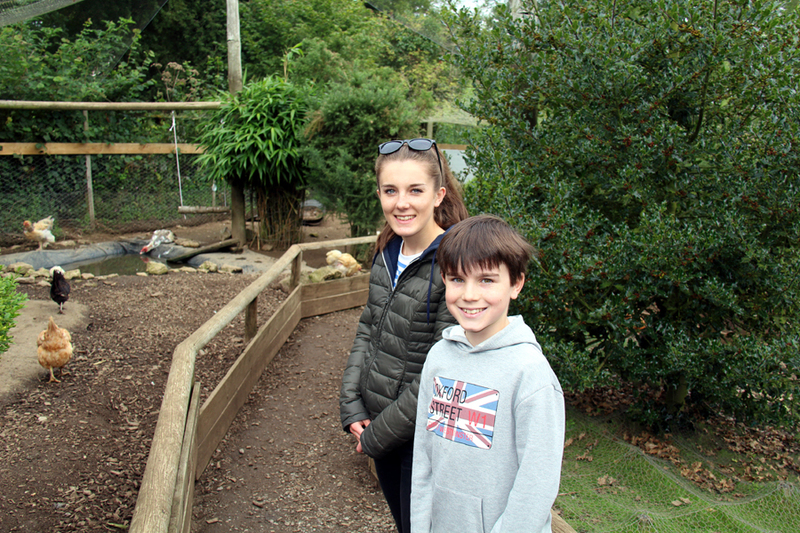 There was also a walk-through aviary with unusual breeds of chicken wandering around; plus, a pets’ paddock is where you can get up close to some cuddly animals at set times during the day. It’s worth planning ahead if you want to experience specific activities like feeding the animals or visiting Cuddle Corner because such events only take place a few times each day. We arrived around 11am and had just missed some events which weren’t being repeated until much later that afternoon. One event which did happen while we were around was the pony gymkhana, which was great fun and like no other you’ll see. 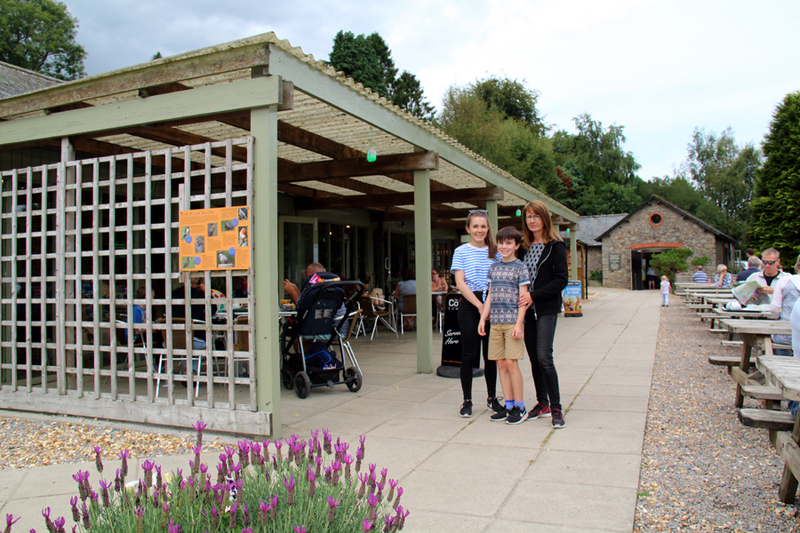 Before leaving, we relaxed in the Paddock View Café, where the menu includes light lunches, cakes and a well-priced kids’ menu. 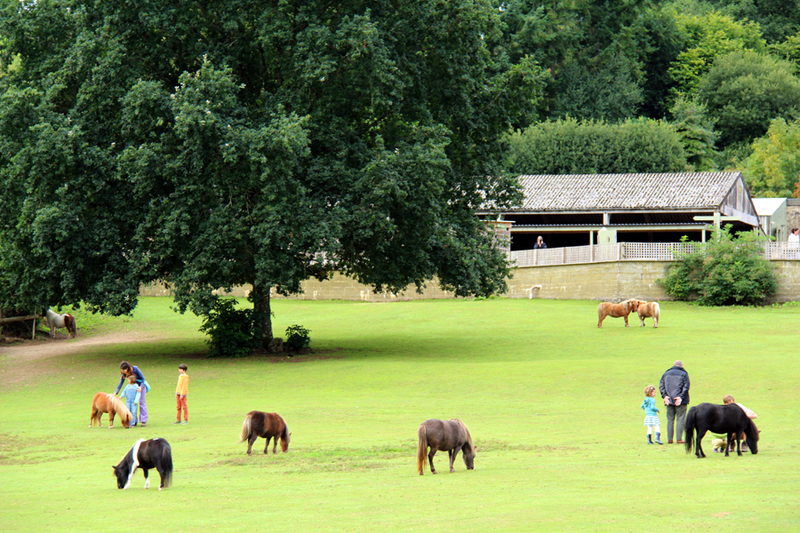 With indoor/outdoor seating and views over the miniature pony paddock, it’s a lovely spot. Overall, the centre is definitely worth visiting. We’ve been to parks where all you can do is view the animals over a fence so to be allowed to walk right up to them was a real treat.